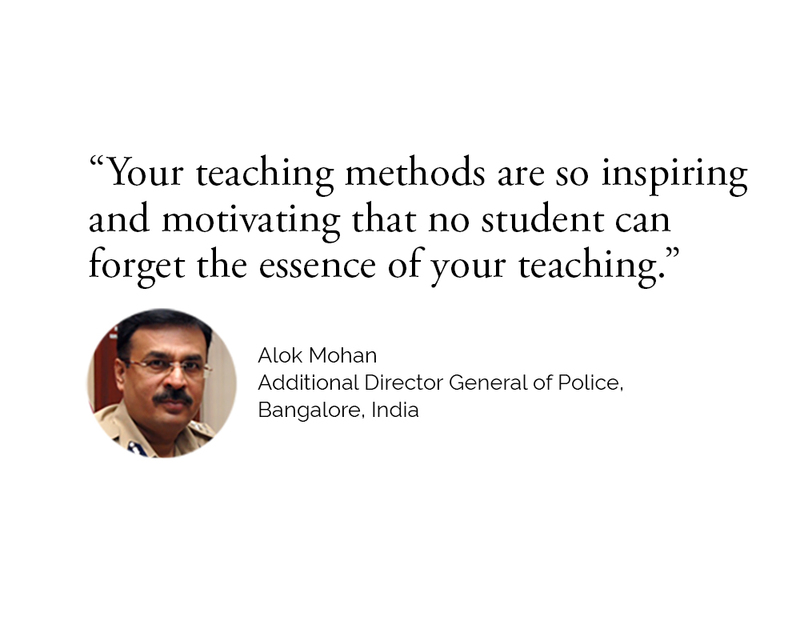 Workshops ranging from 1 to 5 days are highly engaging, interactive and at times, unconventional. Sessions are known to be very facilitative and often feature a blend of techniques or even the creation of new techniques relevant to the dynamics of the group in order for participants to be effectively equipped with pragmatic skills in leadership and teamwork. This workshop is based on Daniel Goleman’s study of emotional intelligence and leadership, and is focused on equipping participants with effective skills in interpersonal management to facilitate effective teamwork and positive relations amongst teams and their leaders. This program features significant emphasis on acquiring direct, personalized feedback, creates leadership simulations and makes effective use of psychometric tools which may include the Myers-Briggs Type Indicator, Fundamental Interpersonal Relations Orientation - Behavior, and 360° feedback. 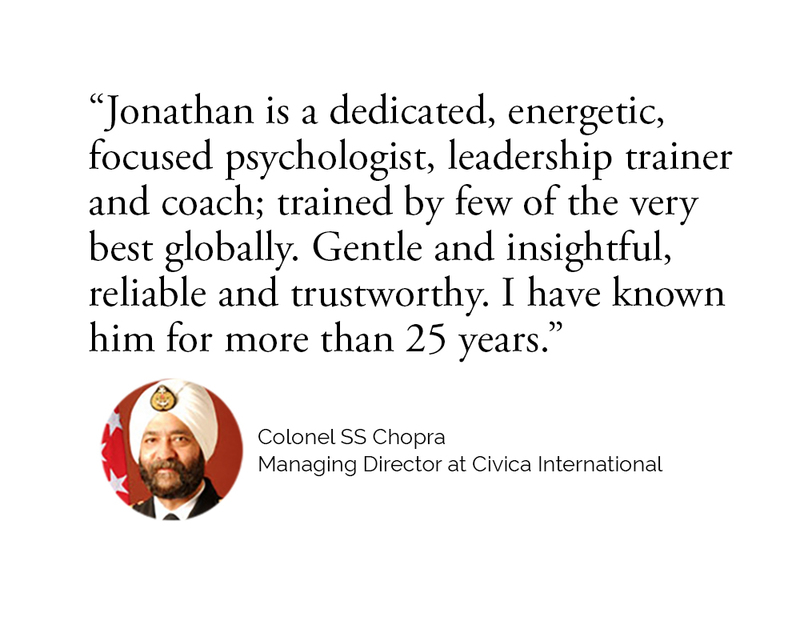 In collaboration with one of Singapore's highly regarded outdoor executive adventure school, Jonathan leads programs that build teamwork, strengthen leadership, and deepen personal confidence. This course will be based at the Outward Bound School’s headquarters in Pulau Ubin and, depending on the appropriate level of challenge, may also include overnight expeditions. The ELA programme is a natural fit for the Marshall Leadership Development Programme. Effective leaders understand and pursue their dreams. The grind of routine work, however, can obscure the original passion, purpose, and clarity that inspired early hard work and success. This intense workshop helps participants re-discover that energy and learn to direct it in purposeful way. 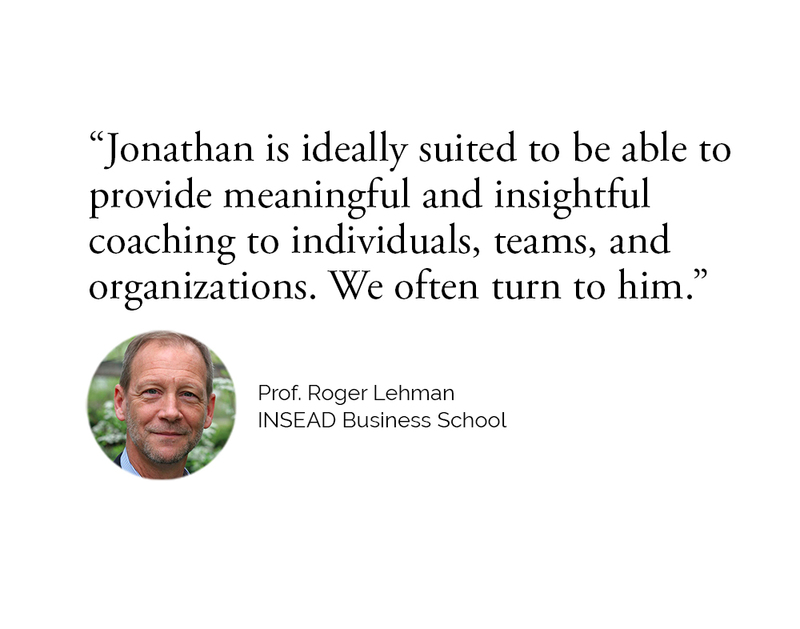 Founded by Jonathan's mentor, Dr. Ronald Heifetz at Harvard University, this material has repeatedly won the alumni award for ‘Most Valuable Course’ at the Harvard Kennedy School of Government. 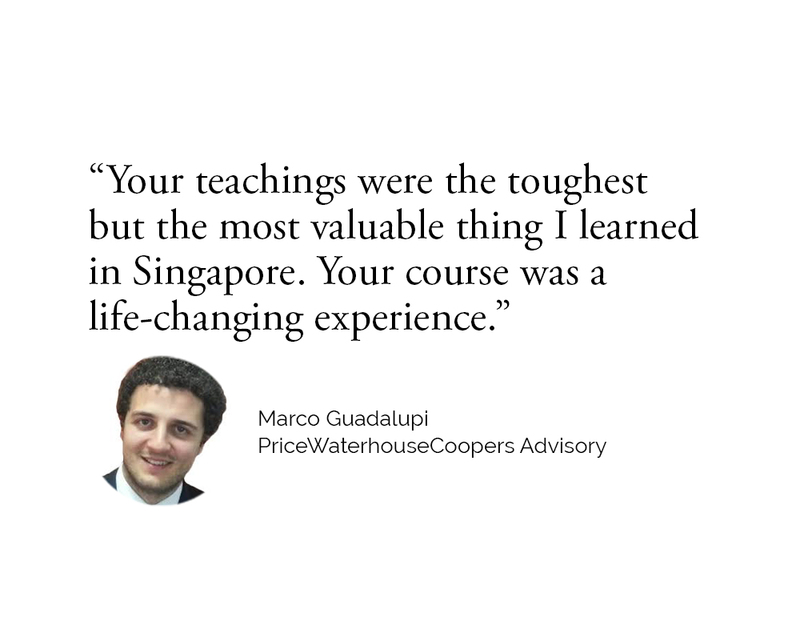 When Jonathan first taught it at the National University of Singapore, a student-led petition was formed to put pressure on the university to offer the course more often. This psychologically penetrating workshop introduces participants to their tendencies that limit their success and positive change. 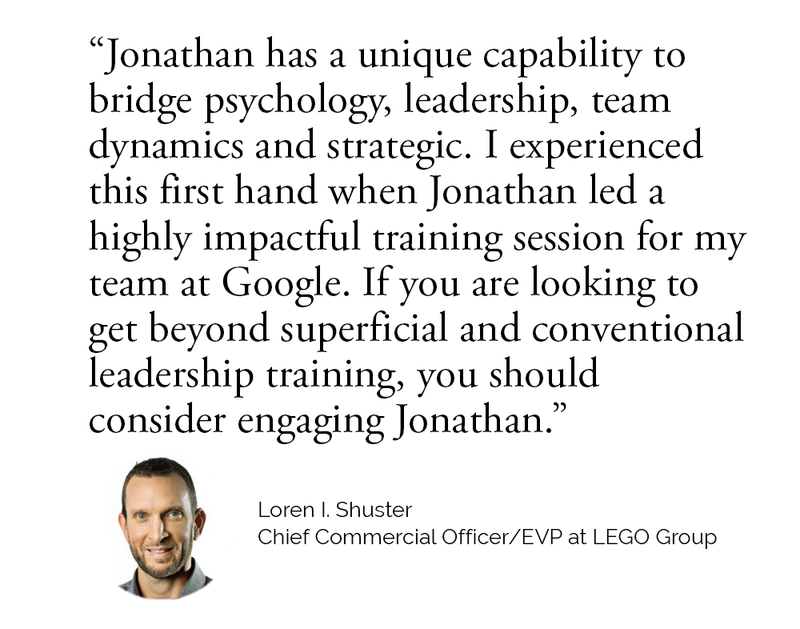 Having worked with many successful leaders, Jonathan has found very few who do not hinder their own performance. This workshop uncovers ways in which leaders may overcome those deeply held limitations in order to effectively pursue their potential.